The nice people of Total Greek Yogurt have sent me a lovely consignment of their delicious thick greek yogurt to play with. As I've been away for a few days, I haven't had a lot of time to make anything, but her is a quick little dessert I made on Saturday. 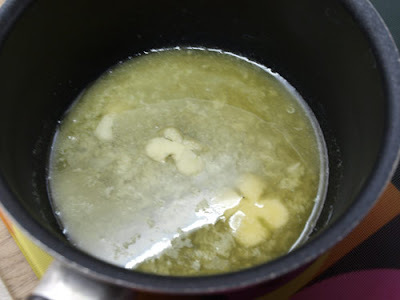 Melt about 100g of butter in a pan. Put half a dozen digestive biscuits (graham crackers) in a plastic bag and crush with a rolling pin. 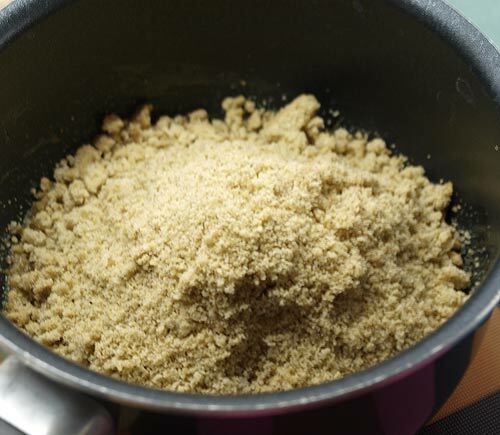 Add the crumbs to the butter and mix well. 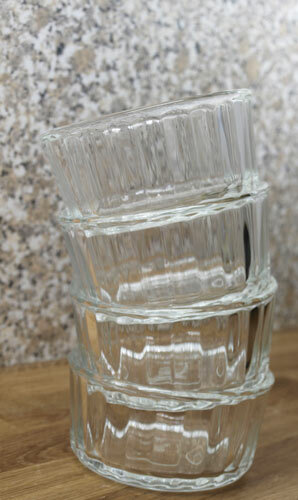 I made my little cheesecakes in ramekins but you could make a larger one in a small flan dish. 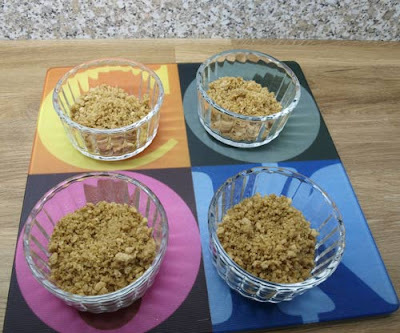 Divide the butter and crumb mixture between the ramekins and press down. Add the Greek Yogurt and top with some fruit compote. I stewed some apples with sugar, raisins and cinnamon, once cool it made a lovely topping for the dessert. The combination worked well, it was not too sweet and the different textures worked well together. Hi Janice! These sweet little desserts look delicious! I have been hearing lots about Greek yogurt but haven't tried it yet. 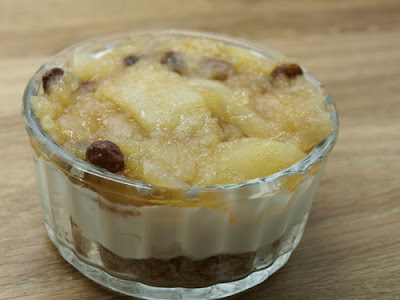 Yum - that apple looks really tasty and I canimagine that the greek yogurt helps to cut through the sweetness. What a lovely idea Janice and I really like your little glass ramekins too. They look fantastic. 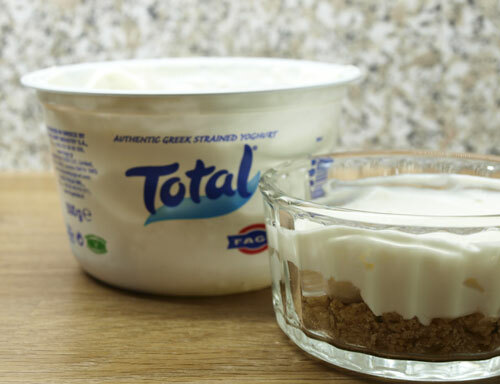 Total yoghurt is about the nicest Greek one I've tried. What a quick and delicious dessert! I'm addicted to those Greek yogurts! So good.